I have been getting a ton of questions about my current nails. My current obsession of the month, and yes, my obsessions change very frequently, is Yoga-Ta Blue by OPI and Essie's Set in Stones. 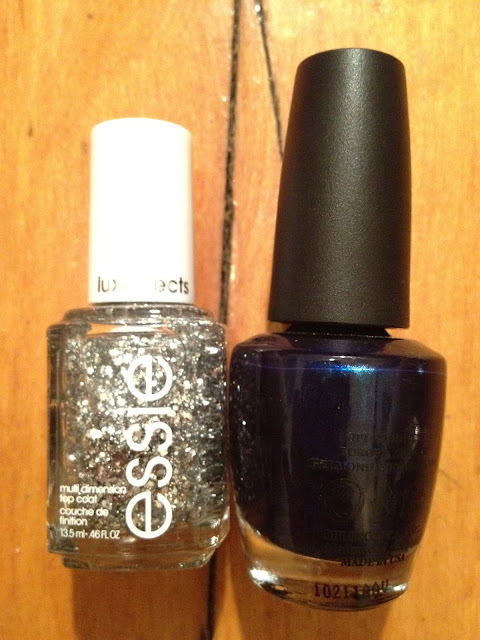 It is a midnight navy shimmery blue with silver sparkly tips. Now listen, usually I am not into "nail art", I find it to be super cheesy. If you are like me, give this one a try, it is fun without screaming "Cheeseball over here!". Want to know what I did? SO EASY! 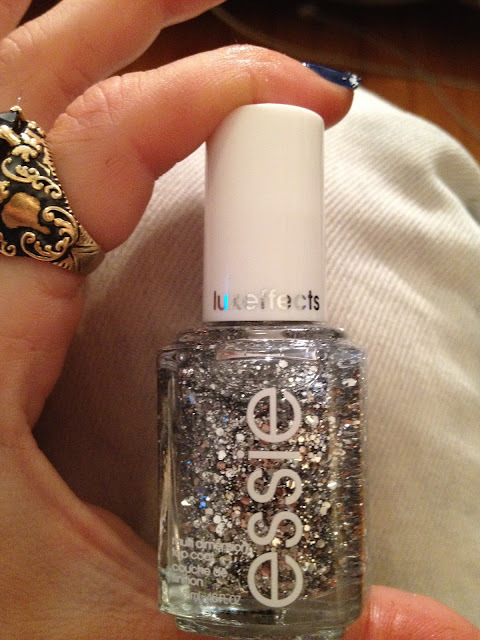 What I did was pain two coats of OPI on my nail as the base and take Essie and just drag along the tips of my nails. There was no perfect science to it or guides. Just have fun with it. 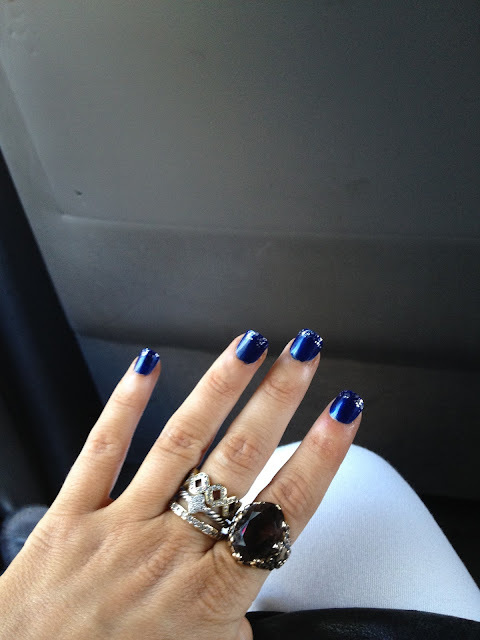 Another back of cab shot of the nails. Will you try this? Let me know how it goes! Ohhh this nail combo is stunning!! I love it! @ Michelle Belle : Let me know if you try it, I am super lazy and it was easy! @ Tate: Me either! Let me know if you try!